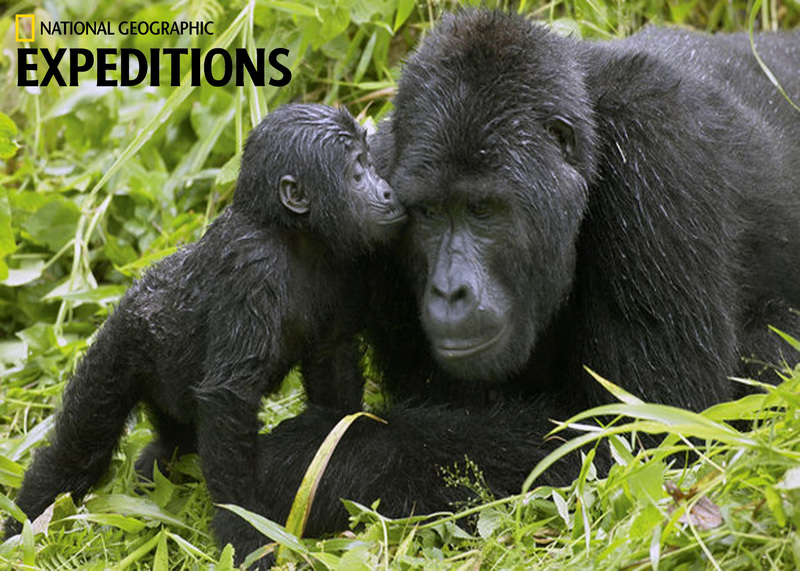 Set off on a once-in-a-lifetime journey into the lush hills of Uganda and Rwanda to encounter the great apes; chimpanzees and mountain gorillas in the wild. Observe chimpanzees with a primatologist, and track gorillas in the forests of Bwindi Impenetrable National Park and Parc National des Volcans. Stay in stunning lodges, from a lakeside bungalow at the foot of the Rwenzori Mountains to a hilltop eco-lodge with spectacular views of Rwanda’s volcanoes. Spend two days tracking chimpanzees, two days tracking gorillas, and one day tracking endangered golden monkeys. Go on safari and take a wildlife cruise in Uganda’s Queen Elizabeth National Park. Meet with scientists at the Dian Fossey Gorilla Fund’s Karisoke Research Center. Fly from Entebbe to Kasese en route to Kibale National Park and check in to our lodge, set on a crater lake. Meet with a local researcher and search for chimpanzees, black-and-white colobus, red-tailed, and blue monkeys, as well as the rare l’Hoest’s monkey. Explore the Bigodi Wetland Sanctuary. Prices are per person, double occupancy. For a single room, add $3,500. All primate-tracking permits are included in the expedition cost. International airfare to Entebbe and return from Kigali and the flight within Uganda are not included in the expedition cost. The group flight from Entebbe to Kasese is $300 to $330 (subject to change), depending on the departure date.